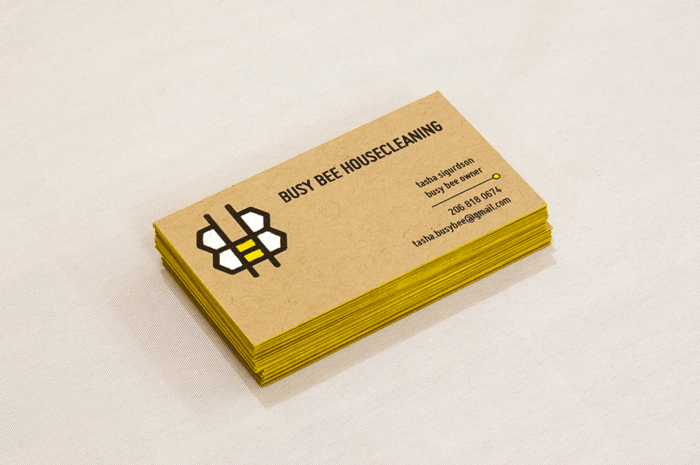 Busy Bee Housecleaning offers dependable and professional house cleaning services in the Greater Seattle area. 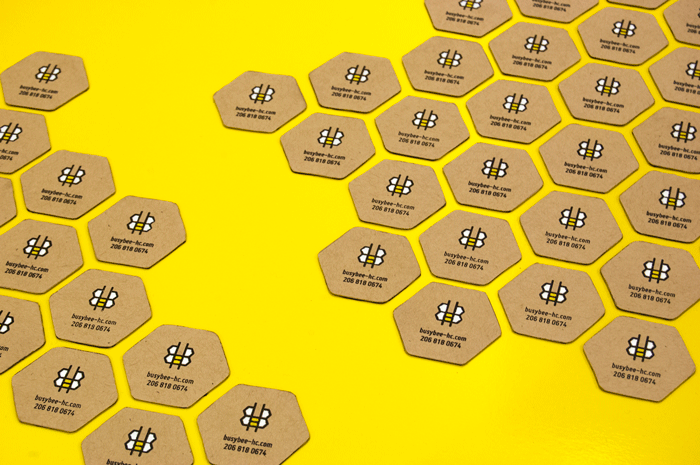 The company was started in 1996 by my mom, Tasha Sigurdson. 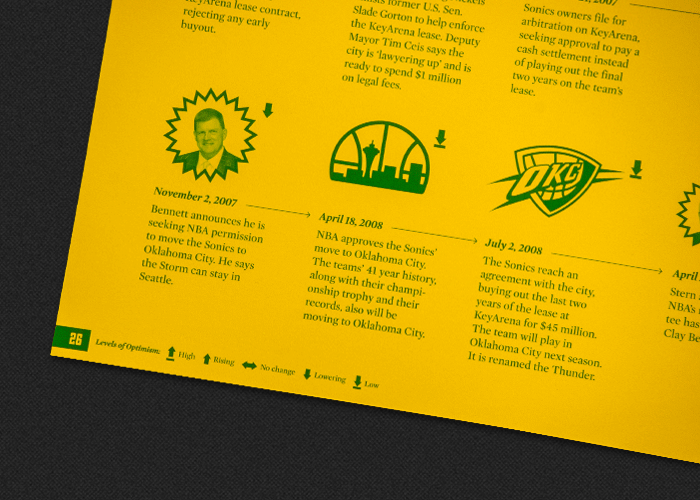 Since opening, it has only had a business card (without a logo) and a contact phone number that was quickly outdated. 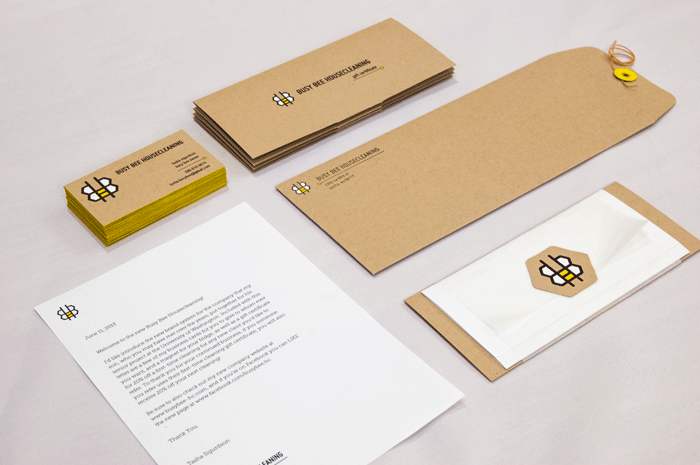 The rebrand for this company includes print collateral, consisting of stationary, stamps, gift certificates, and business cards. 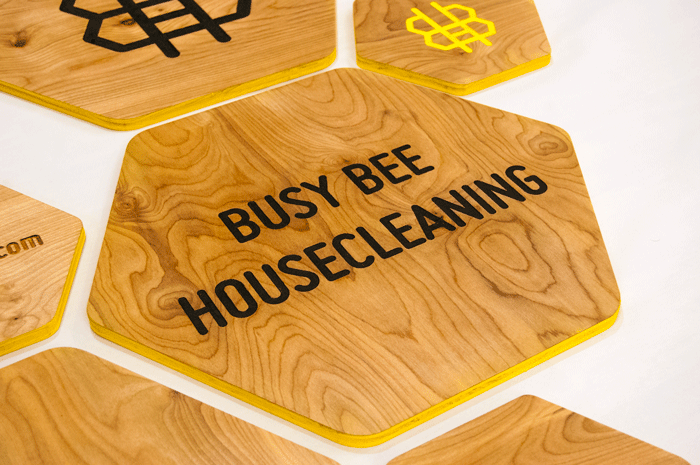 Woodcuts for display, along with magnets to distribute to clients were also made. 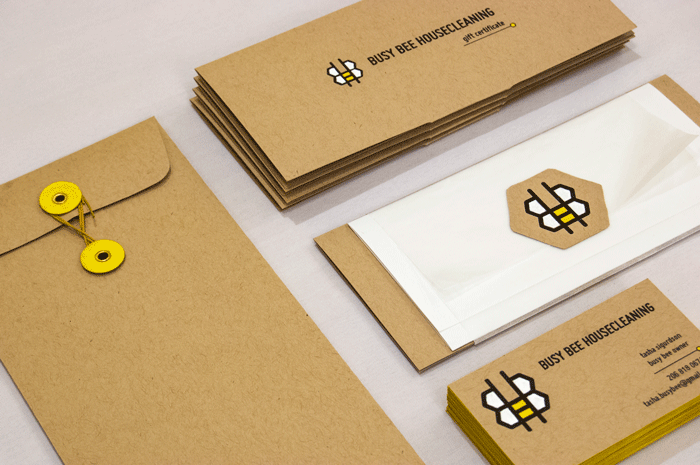 On top of the print collateral, this rebrand also includes a fully functional website that can be seen at www.busybee-hc.com, along with an animatedÂ introductory video. 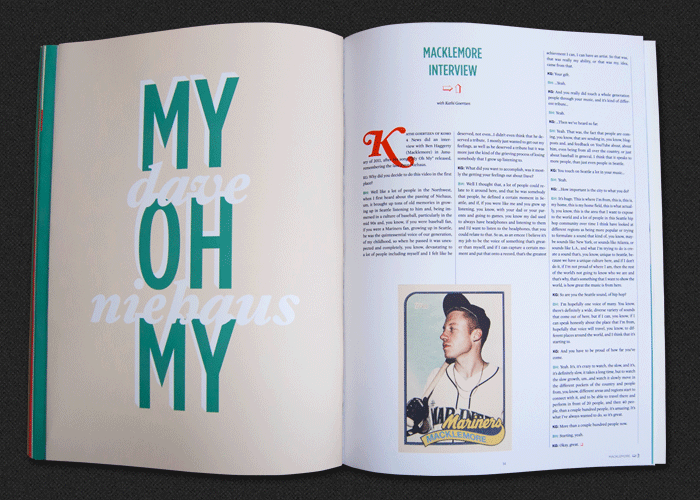 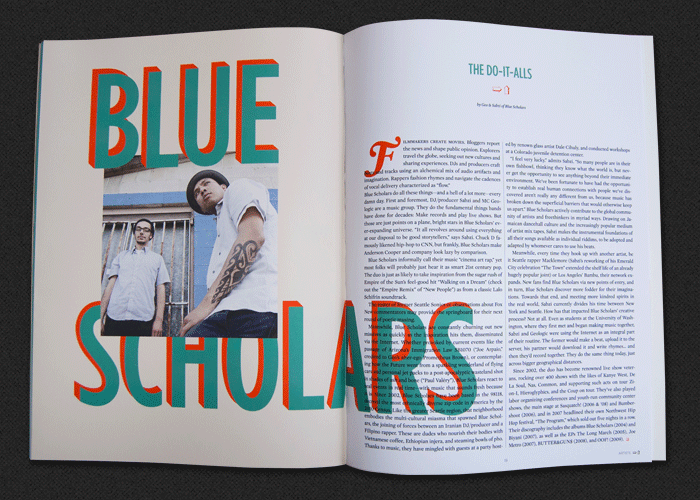 A magazine that breaks the stereotypes within hip-hop culture; focusing on local, underground hip-hop, with features on new regions quarterly. 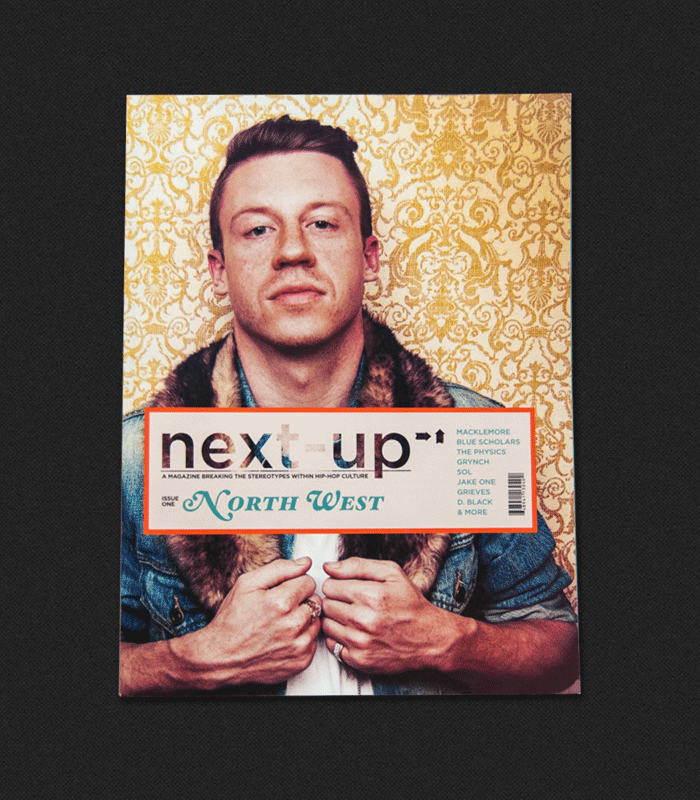 This is the inaugural issue, focusing on the â€œNorth West.â€Â AccompanyingÂ the printed magazine is a fully functioning iPad publication. 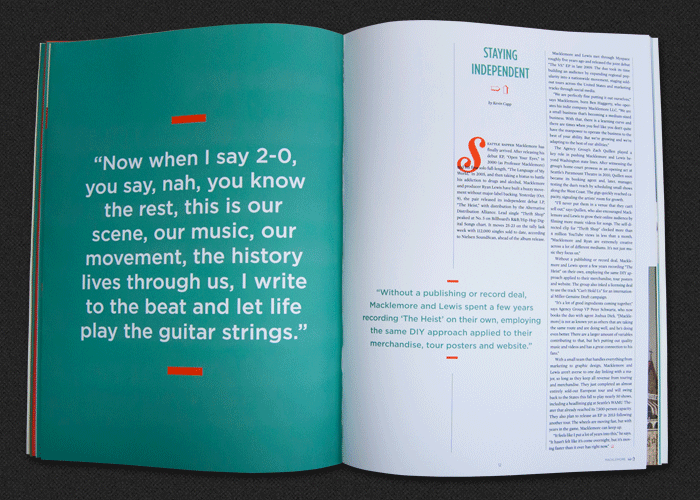 The iPad version of the magazine was created using the Digital Publication Suite in InDesign. 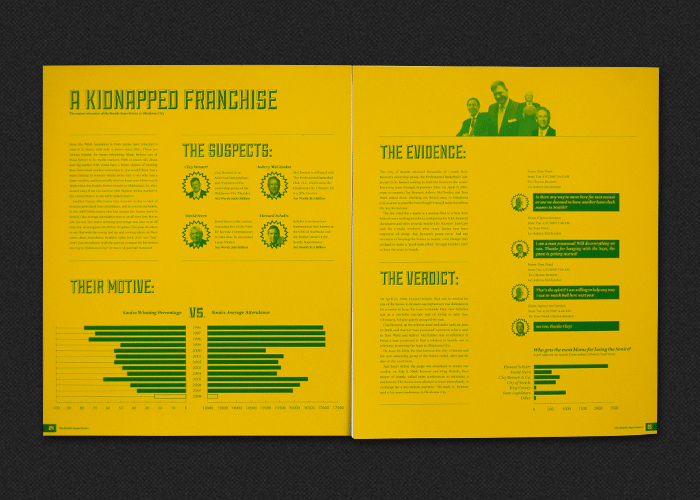 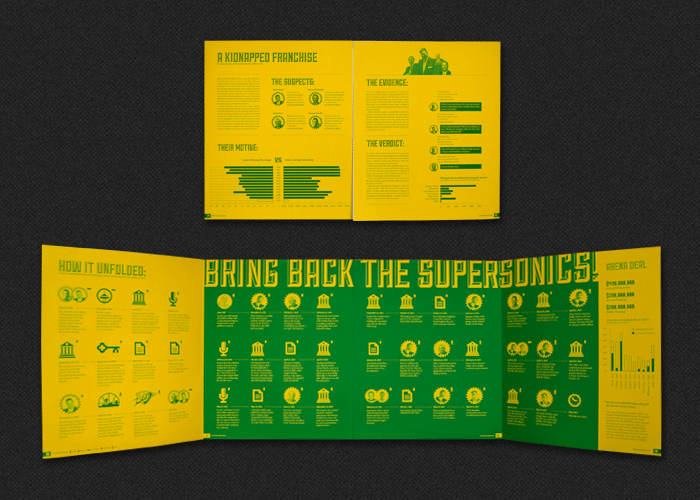 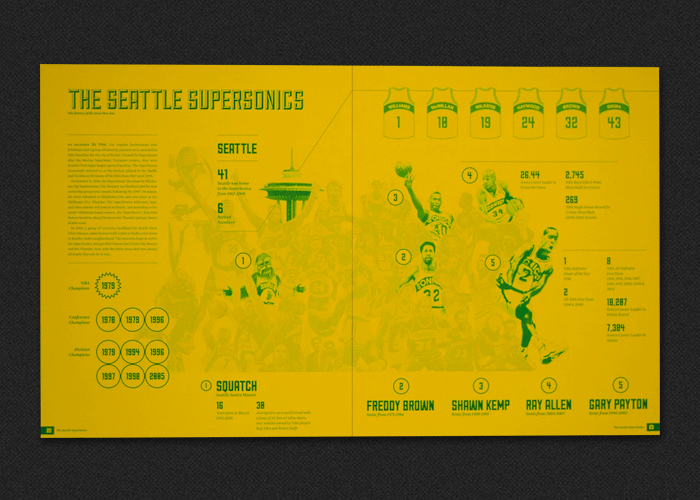 A series of infographic spreads on the Seattle SuperSonicsâ€™ NBA franchise; telling the story of their departure from Seattle up through their potential return and the new arena deal.